Seems like this has been the most sun filled winter that I can remember in a long long time. I guess it's due to the fact that we haven't had as many snowstorms as normal. We are way below the snow totals received over the previous few years which I am delighted about! A year ago at this time we had received 183"and this year we have only received 101" ! We all need a little bit of optimism! For a few brief moments the sun shines over here on this fence. We are beginning a warming trend and there is a crust forming on the snow and even the fence wall is crystallized. I'm excited to see the sun rising earlier and earlier and how it's shifted on the landscape which are more signs of spring coming! I need a bigger lens. I tried to capture how the trees in the background were being highlighted by the sun. I always say I'm glad I'm a morning person and get to witness these little things because they make me happy. Upon opening the door to take pictures I also enjoyed the sounds of the birds chirping away. Mr. Cardinal is a regular and couldn't look more beautiful against the stark contrast of the snow. I was going to close the closet door but decided it added to the ambiance created by the sunlight streaming in. I am prepping for St. Patrick's Day. I wanted to see how my centerpiece looks with the sun shining on it. I had a little fun with this one by cutting an opening in the top. You can see a hint of some forsythia I added in the background- yes I am rushing spring! The black squirrels were out and about happily bouncing and chasing each other! Seems like a happy morning to all! I can fully imagine how you enjoyed this morning, the pictures speak for themselves, lovely. I'm also an early morning person. Hope spring is arriving soon, sun is already there. I'm also a morning person. I love your photos showing that the weather is about to change. Just the last couple of days we have had some glorious weather. 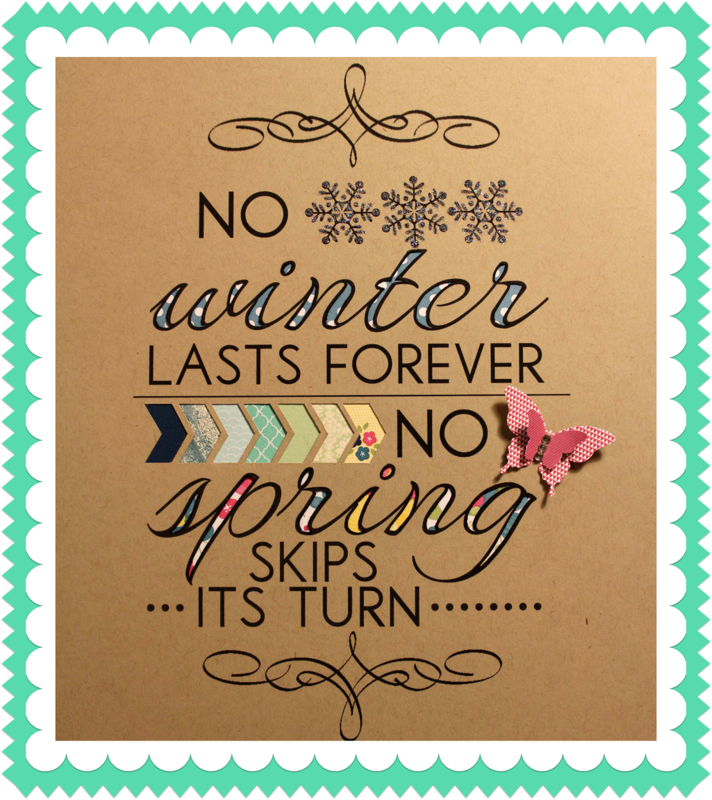 I like winter but I'm looking forward to Spring. These are such beautiful photos of winter you posted. I can't get over how much snow you've had! Sending you warm sunny greetings from California. Forsythia definitely says spring to me! Glad you didn't get as much snow as usual this year. That morning sunlight is a powerful thing, isn't it? I'm outside right now, listening to the birds chirp as the sun comes up. Heaven. Beautiful sunlit areas - we have sunlight again here in the pacific northwest - but I can truly say I am glad we don't have the snow. Loved seeing your wooded area with the sun coming up - stunning! I imagine it must be even prettier in person! I liked seeing the squirrel and cardinal too. We've had two warmer days (40s and 50s) and much of the snow has melted now. Your time is coming! Think Spring!! Love the black squirrel and the cardinal. We have cardinals but our squirrels are brown. Enjoy the week and the sunshine. Melting snow is a welcome sight come spring. The red cardinal is a bright spot in a monotone landscape. Isn't sunshine in the house a wonderful thing? You know, by now, that I think your outdoor area is beautiful. This time, though, it's the interior shots that really speak to me, Liz, especially the one with the small table in it. The lighting is wonderful!